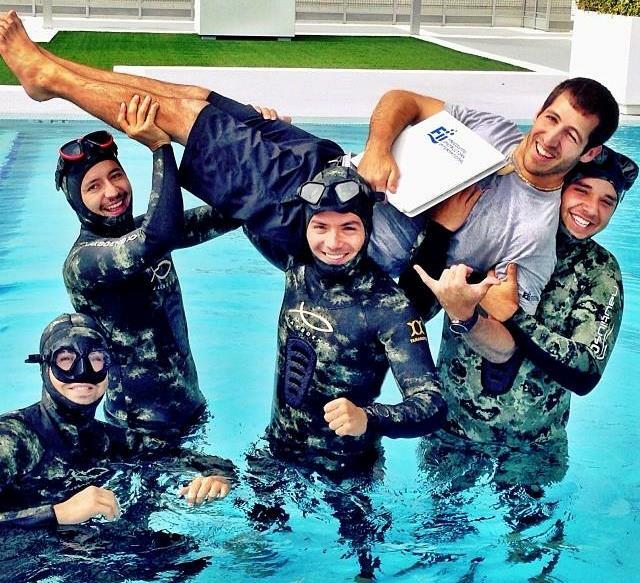 Andrew Quincoses is a freediving instructor with 6 years experience teaching and over 15 years experience spearfishing. 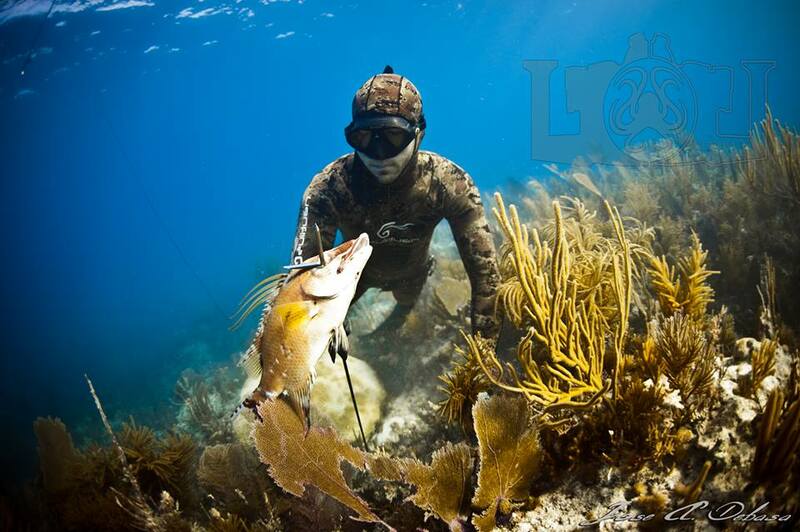 He owns and operates the very well reviewed Miami based Nautilus Spearfishing retail store. If you are just starting out spearfishing Nautilus have some great video tutorials up (on YouTube) and available covering basics like ‘how to chest load a speargun’ to videos explaining roller guns and wetsuit maintenance. You can also check out some of their very own Nautilus brand of spearfishing equipment here. In this interview we talk about a collaborative spearfishing video project that Andrew and a few of his buddies are part of called Spear Heads TV. I have personally watched 3 videos including episode 9 here that includes some fantastic footage chasing Cobia. These boys like to have a laugh, chase good fish and the videos are HQ. We also have a good chat about spearfishing safety basics as this is important to Andrew. He’s particularly passionate about sharing this information with people who are just taking up spearfishing. This interview is highly oriented towards people just starting out and it’s packed with good information. In the next few years Andrew hopes to take his shop to the next level, contribute to helping some spearfishing clubs get up and running and take down a Tuna in the triple digit (lb)range. 1:00 Early beginnings. Chasing spiny lobsters, the Bandito Speargun and catching the stoke – hooked. 25:00 Veterans Vault. For a person just starting out, who has just bought their own equipment and are getting ready to go out. Here is some essential information about getting started. What you need to know to be safe and prepare yourself to be successful. 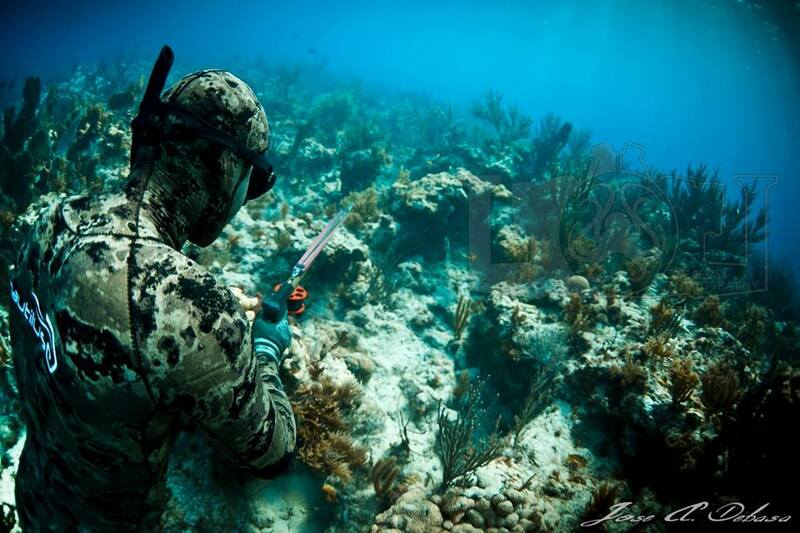 Lots of advice and tips to make your entry to spearfishing easier. Blackout basics and the importance of understanding how your body works. Ben Choi Blackout Video here (our interview with Ben Choi here). Speargun safety basics and good buddy protocol. Quick walk through of a basic buddy rescue. 44:00 Spearheads TV and the Halloween special. A little bit about the crew behind the video’s. Bloody funny vid! 54:00 Nautilus Spearfishing, how it all began. I ask Andrew about the significance behind the name and get a good story.